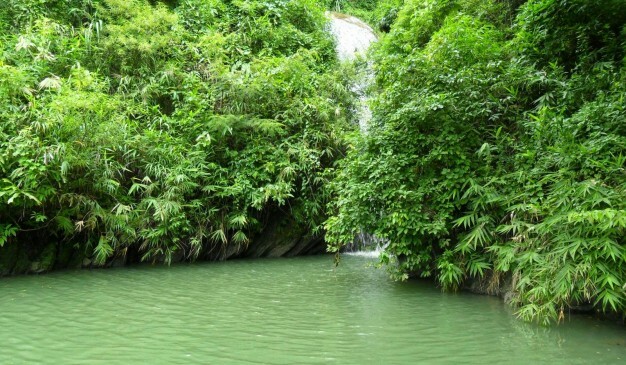 Horinmara Kundo Waterfall (also known as Horinkundo Waterfall) is a renowned waterfall which is located in Mirsharai Upozila of Chittagong district. Horinmara is a Bengali term which means deer hunting. Once upon a time this place was full of wild deers. Those deers used to come this waterfall drink water and local hunter took their lives. Probably this is the reason of the name of this place. Horinmara Kundo Waterfall is a lovely water along with a basin underneath it where the water is directly falling. 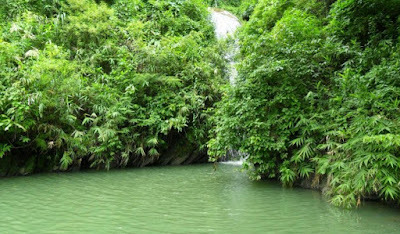 How to go: To visit this waterfall, you have to come Chittagong first. As it is located in Mirsharai area, you need to visit there as well. If you plan to come from Chittagong, you have come at Chhoto Komoldoho Bazar (ছোট কমলদহ বাজার) of Mirsharai. Take a CNG by asking the driver about the waterfall and it will drop you near the hill. Then from there it will be about a 30 minutes trail to Horinmara Kundo Waterfall. If you come from Dhaka and plan to visit the waterfall direcly, tell the bus driver to drop you near Chhoto Komoldoho Bazar. 1. Complete visiting the place before sunset. 2. Bring drinking water before starting the trail. Where to stay: There is no convenient place to stay near the place. It is better to get back Chittagong to stay after visiting the place.There are many hotels available in Chittagong. 2. Hotel Al Faisal International Ltd.
You may also like this: Tourist Places in Chittagong.